By 2050, the Greater Mekong Subregion is expected to be at least 50% urbanized. This will bring vast changes to the economies of the subregion. What was once a primarily agricultural area is transforming into a place where cities and towns are the main drivers of economic growth. Careful planning is needed to balance urban growth with environmental protection and economic equity so that healthy cities can be enjoyed by all residents. 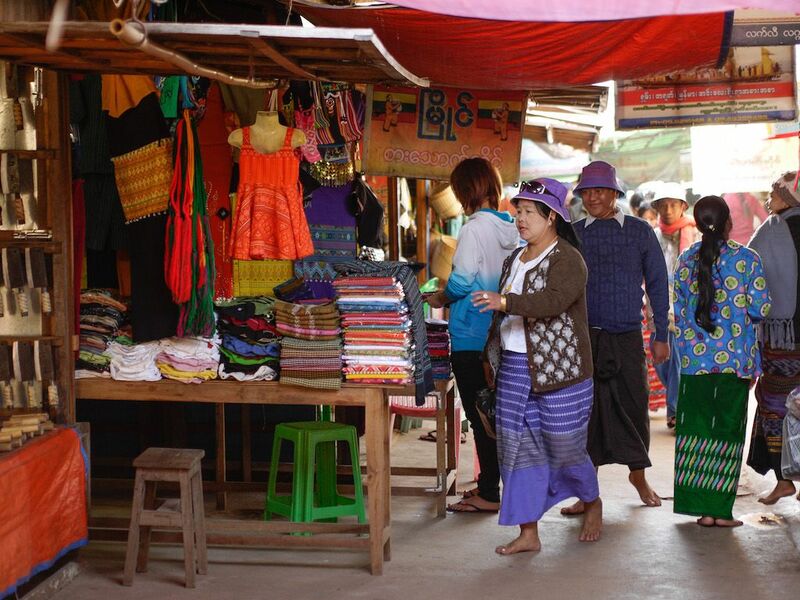 The Greater Mekong Subregion is working to improve the quality of life and economic vibrancy of its cities through the development of national strategies and projects that incorporate global best practices into the subregion’s urban development. This work has included the first and second Corridor Towns Development Project, which is developing competitive and environmentally friendly cities along vital economic arteries in the subregion. Cross-border economic zones are also being developed. 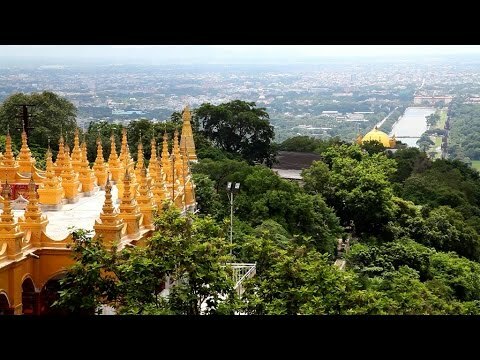 Modern water supply, wastewater treatment, and garbage collection services are paving the way for the transformation of the city of Mandalay in upper Myanmar into a prosperous, green urban center. The GMS ministers called for a Transport and Trade Facilitation Action Program to enhance the cross-border flow of goods and people, and for a coordinated approach to developing urban areas throughout the region. 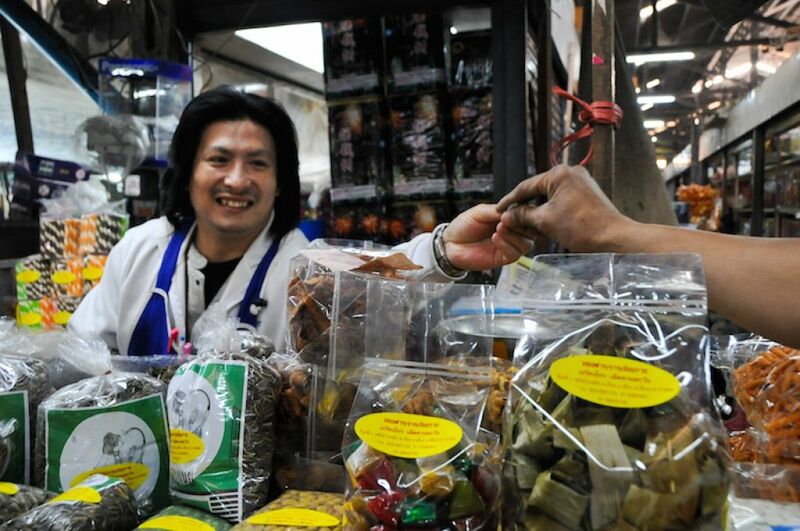 A vendor selling different products in a market in Thailand. Photo: ADB. KUNMING, PEOPLE’S REPUBLIC OF CHINA (11 June 2015) – Government ministers and senior officials attending the Greater Mekong Subregion Seventh Economic Corridors Forum today agreed on measures to promote the development of economic corridors, facilitate cross-border transport and trade, and enhance cooperation and private sector participation. KUNMING, PEOPLE’S REPUBLIC OF CHINA (10 June 2015) – Ministers and senior officials from the six Greater Mekong Subregion countries and the Vice-President of the Asian Development Bank will convene tomorrow at the 7th GMS Economic Corridors Forum to discuss how to further develop economic corridors, facilitate cross-border transport and trade, and enhance cooperation and private sector participation – including the development of Special Economic Zones. (Left to Right) Sok Chenda Sophea, Minister Attached to the Prime Minister, Secretary General Council for Development of Cambodia; Hong Xiao Yong, PRC Ambassador to Viet Nam; Somchith Inthamith, Vice Minister, Ministry of Planning, Lao PDR; Nguyen Chi Dung, Vice Minister, Ministry of Planning and Investment, Viet Nam; Lei Lei Thein, Deputy Minister, Ministry of National Planning and Economic Development, Myanmar; Porametee Vimolsiri, Deputy Secretary General, National Economic and Social Development Board, Thailand; and Bindu Lohani, Vice-President, Knowledge Management and Sustainable Development, ADB. Photo: ADB. 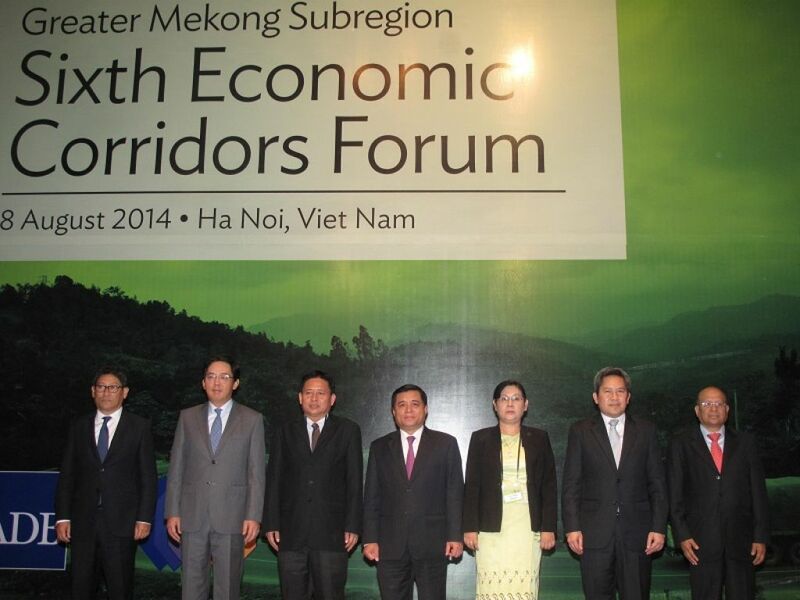 HA NOI, VIET NAM (8 August 2014) – The Greater Mekong Subregion (GMS) needs to ensure that economic corridors yield benefits in terms of trade, investment, and jobs, participants at the 6th GMS Economic Corridors Forum (ECF) heard today. The Second Meeting of the Urban Development Task Force held in Kunming City from 14–15 November 2013 was undertaken with the objective of further strengthening regional cooperation in the urban development sector and stimulating integration and competitiveness of GMS corridor towns and border areas. The first meeting of the GMS Urban Development Task Force was held on 12 July 2013 in Phnom Penh, Cambodia. The meeting objective was to operationalize the recommendation of the 18th GMS Ministerial Meeting regarding the establishment of the GMS Task Force on Urban Development by: reviewing, refining and finalizing the Terms of reference of the Urban Task Force; and developing its Work Plan. (The meeting agenda is Appendix 1). The first meeting of the Urban TF was chaired by H.E. MANILA, PHILIPPINES (12 December 2012) - The next phase of Greater Mekong Subregion investments should expand the program into new areas such as multisector investments towards urban development, connecting remote areas with growth centers, and extending existing corridors into Myanmar, ministers attending the 18th GMS Ministerial Conference in Nanning, People's Republic of China said today in a joint statement.